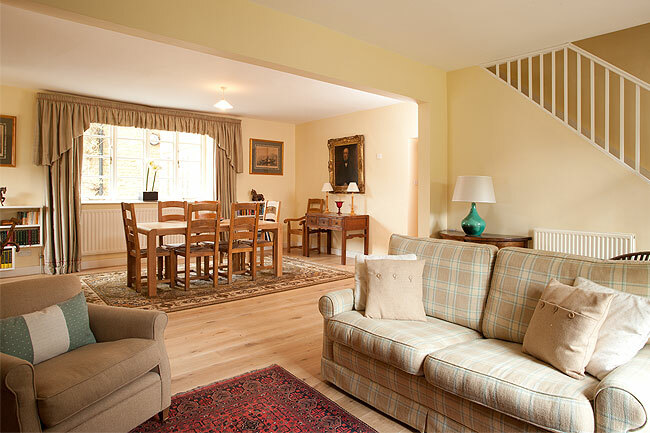 Find a world of statesman-like luxury and seclusion at Lodge Cottage. 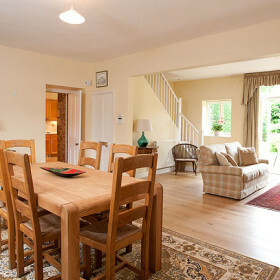 Land among the landed gentry amid oak floors, Turkish bath, tennis court and heated pool. 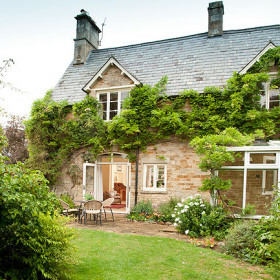 For walkers, for foodies, for families of four, for fans of beautiful villages, there’s Lodge Cottage in Kingham, officially England’s best village. 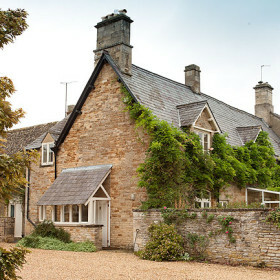 Escape your mad world and land among the landed gentry where the quack of the Cotswold ducks and the wings of bats are all that break the rural hush. Spread out amid the open-plan living. 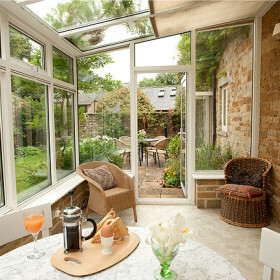 Take your breakfast eggs and orange juice in the conservatory. Call up our chef for fresh local fare and don’t even worry about washing-up. Pull up a chair by the roaring fire with a stiff drink. Fire up the TV for family movie nights. There’s space here to get to know each other once again. But is there a pool? 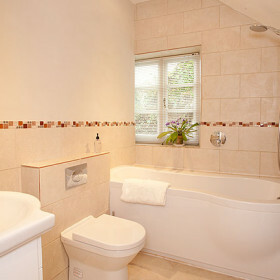 Pack your trunks and towels because the heated indoor pool comes with changing rooms and views out over the landscaping. 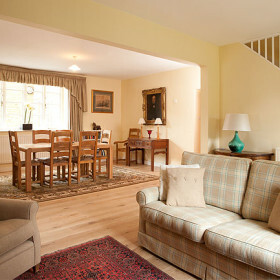 Lodge Cottage sleeps four and that’s just right for family doubles on the all-weather tennis court. 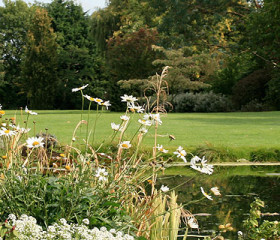 Croquet, boules, frisbee, or just an endless amble in the rambling acres are all possible. 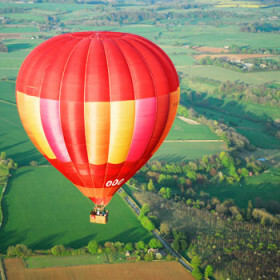 Along the way, you’ll feel you’ve been lowered gently into the lap of luxury. 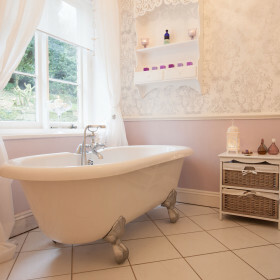 Floors are oak; the bath is of the Turkish variety; the Sequoia Room comes with full Sky package and surround sound. And the silence and seclusion are priceless. 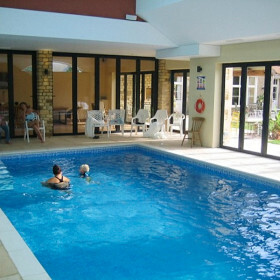 There is a wonderful indoor pool with changing rooms and views overlooking the gorgeous gardens. The Turkish steam room is part of the swimming pool complex, as is the large entertainment room with dining table, lounges and a big TV complete with Sky Sports and Movies for you to make the most of during your stay. 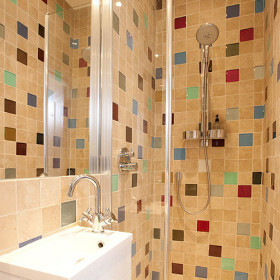 The pool and steam room are both shared with the owners and other cottages; exclusive use can be arranged on request. 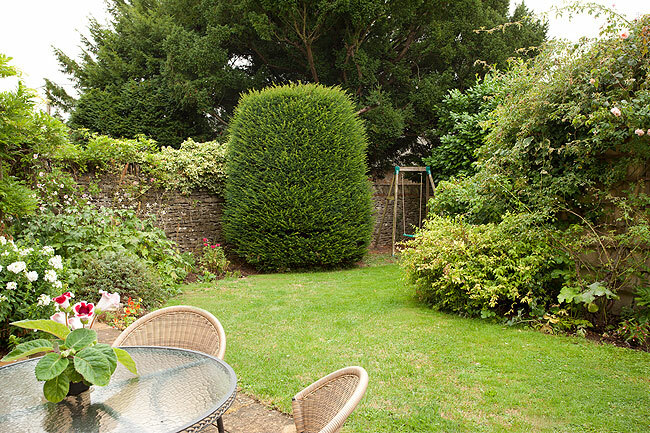 Lodge Cottage has its own walled, south-facing garden with a terrace leading off the sitting area and conservatory. 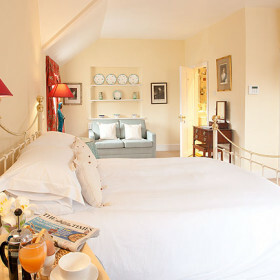 There’s room to relax here in a house on the edge of England’s best village. 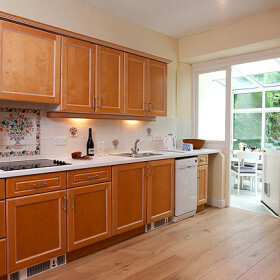 The fully fitted kitchen with oak floor, has the usual dishwasher, washing machine and large fridge freezer. 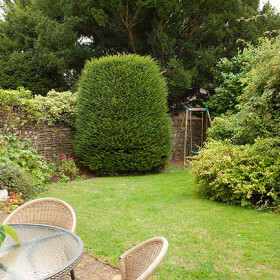 There is table and chairs for breakfasting in the adjacent south-facing conservatory. 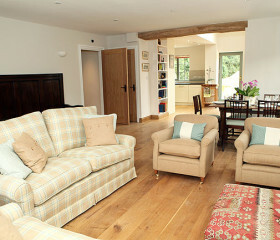 The living room has a new sofa and chairs for comfort arranged by the log fire and the flat-screen TV. 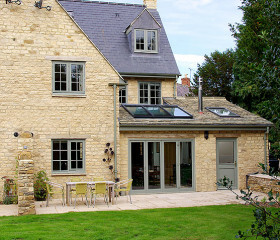 Kingham is heaven for good food. 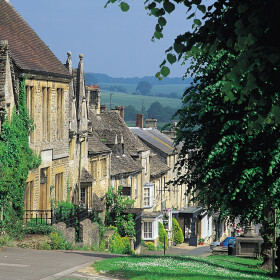 The Kingham Plough, one of the best gastro-pubs in the country, is a short walk away. There are a couple of other pubs too, where you can grab a pint during your stay. Of course, if you’d like to dine in that can be arranged too. Help yourselves to the well equipped kitchen. Or line up a top chef and set up the table in the entertainment room next to the pool. We offer everything from casseroles dropped off ready for the oven to waitress-served in-house catering. 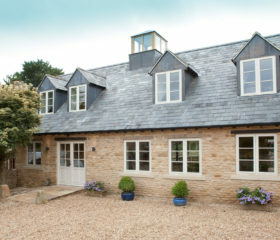 Lodge Cottage sleeps up to four guests in two luxurious bedrooms. 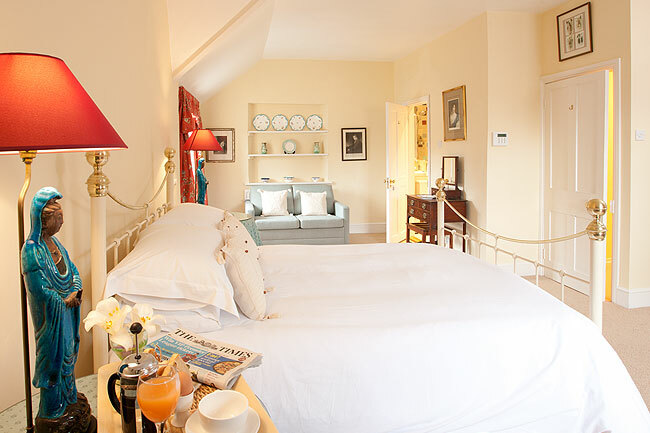 There is a double bedroom with a four-poster bed and a delightful en-suite shower and WC. 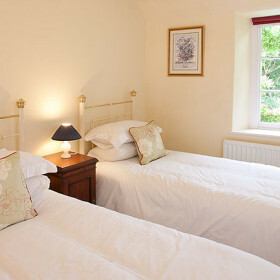 There is also a twin bedroom, with a zip and link bed and a large family bathroom. 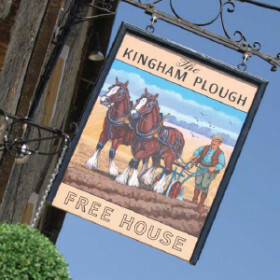 Find out why Michelin rate the Kingham Plough so highly, with a pint and a spot of pigeon. 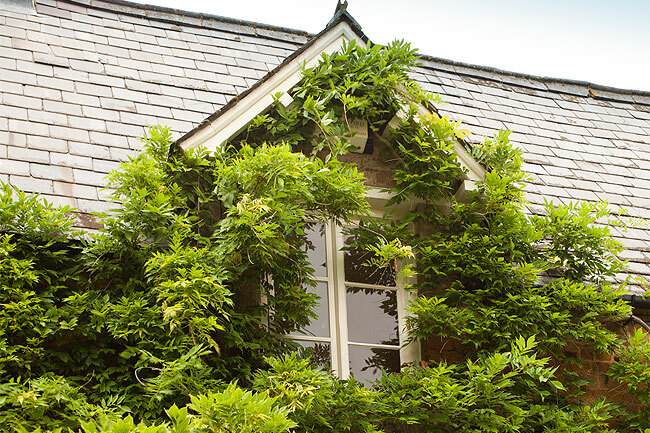 Fish the rivers, play the local golf courses, order up some in-house beauty treatments. 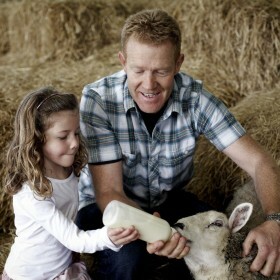 Kids will love the Cotswold Wildlife Park and Batsford Arboretum and Falconry Centre.